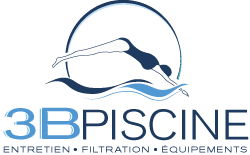 Depending on the dates of use of your pool, our seasonal contract provides for the maintenance of your pool once a week and to ensure absolute serenity during the high season (mid-June to mid-September), we intervene 2 times per week. Possibility of taking charge, at the beginning of the season, of the opening of your pond (clearing and catching of the water) as well as its closing at the end of the season (wintering of the basin). We can also take care of the return to service of hydraulic installation and verification of all the equipment of the pool.